It's a no brainer using these Valve Kit. Note these standard kits are in 15mm (1/2 inch). To upgrade to 20mm (3/4 inch) fitting please advise in comments section of checkout. Additional fees will apply. 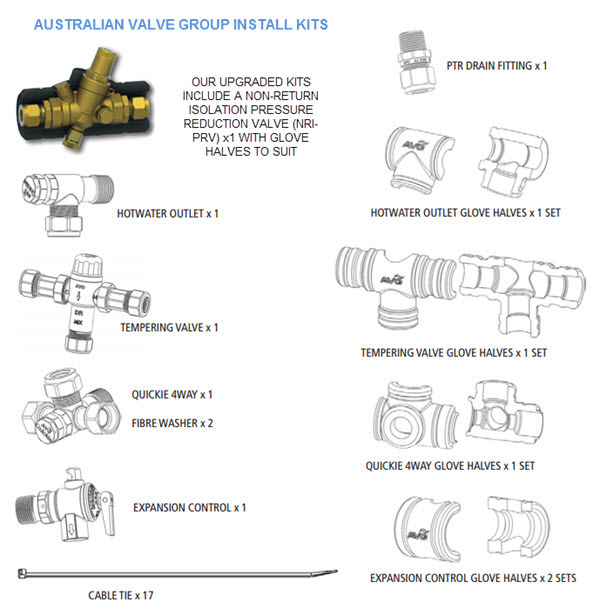 The Sanden Valve Kit has extra fittings in due to the split design. These inc 2x additional hot water outlet fittings and 2x female conetite unions and washers for the heat pump lines. All valves are covered by the Manufacturers 1 year warranty. AVG, the manufacturer are based here in Perth.